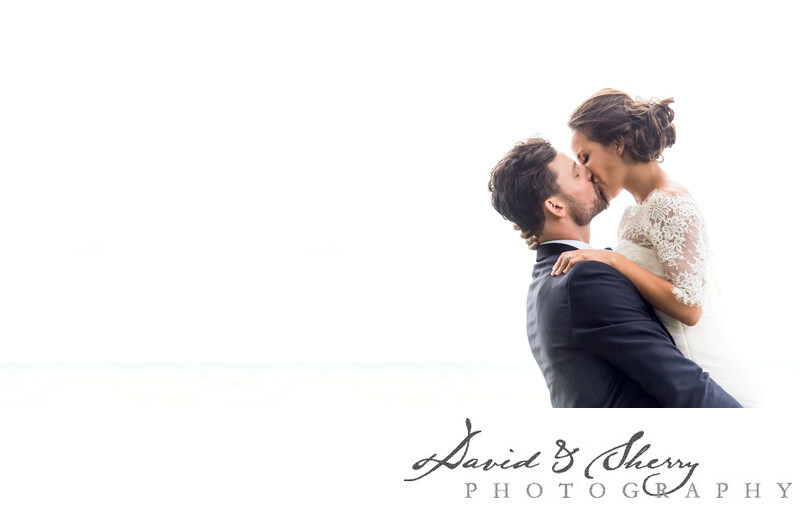 David & Sherry are considered by many to be one of Canada's best wedding photographers. Our approach to weddings is one of many years of experience and creativity creating beautiful moments, stunning portraits and awesome landscape inspired couples capes. We photograph luxurious weddings across Canada from Vancouver, Whistler, Abbotsford, Kamloops, Kelowna, Revelstoke, Yoho National Park, Lake Louise, Jasper, Banff, Canmore, Calgary, Saskatoon, Winnipeg, Muskoka, Toronto, Georgian Bay, Kitchener, Montreal, Quebec City, PEI, Newfoundland, Nova Scotia and New Brunswick. We do so without charging any travel fees for getting to your wedding. 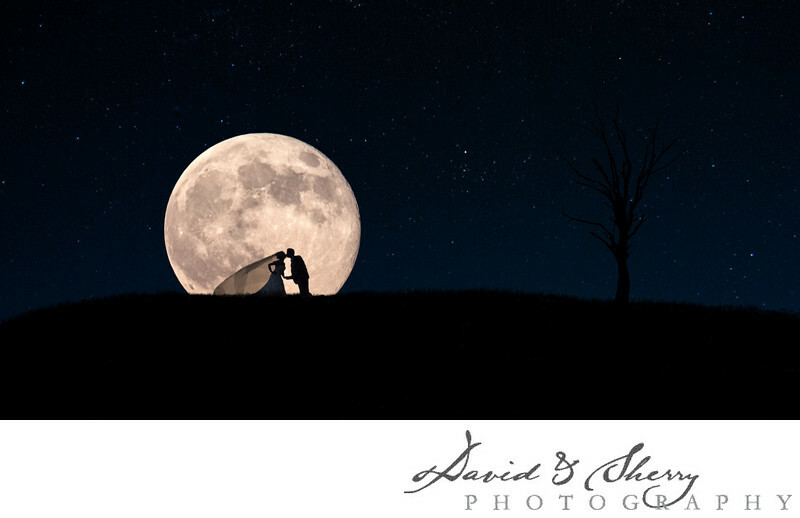 One of the neat things that sets David & Sherry apart is our unique look at the self titled Couplescape images we create. Both Sherry and I have a love for landscape photography. We continually travel year after year around the world looking for beautiful landscapes and capturing the rolling hills, beautiful light and amazing skies of the world. We have combined this love of landscape photography with our love of photographing weddings and people so we call it a little bit of Vanity Fair meets National Geographic. The idea is to create a stunning piece of wall art that is meant to be displayed in large format in your home where we combine a beautiful landscape and have our clients the couple be part of the image. It is a one of a kind, unique piece of artwork to treasure for a lifetime. We also plan yearly trips to different parts of the world like France, or Banff, Hawaii, Thailand, Hong Kong, China, Tibet, Australia, Italy, Scotland, Greece, Santorini, and many places around the world to create these one of a kind masterpieces. Every bride invests countless hours into how she will look on her wedding day. She chooses the perfect dress then adds earrings, a veil, necklace, eye lashes, then has her hair and makeup done only to finish off her look with a garter and beautiful pair of wedding shoes. The culmination of this process is when she gets into her gown on her wedding day and there is a moment, before she sees everyone else that all is perfect. 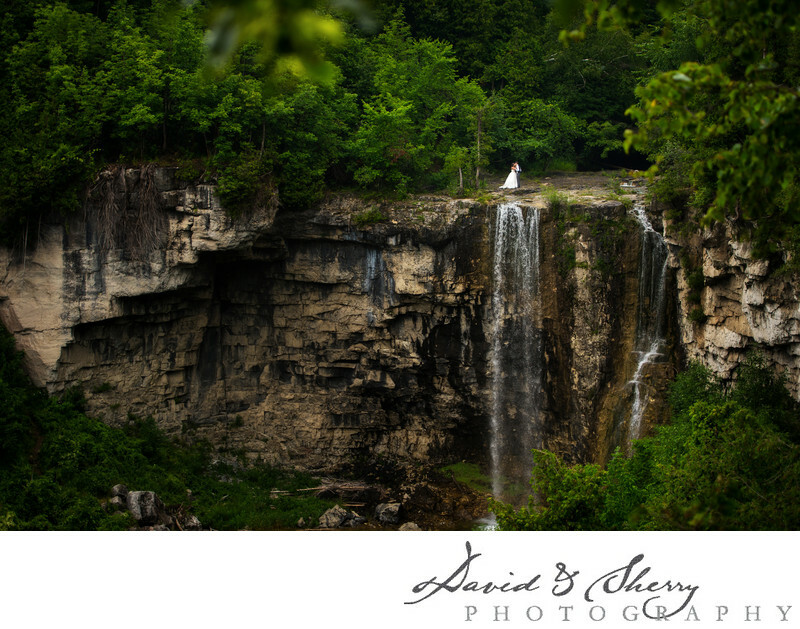 It is during this moment we take a few minutes to capture her perfection with bridal portraits. These classic and timeless images act as a time capsule in her life that she can look back upon as the beautiful bride she is. Some of the images are close ups of the face focusing on the eyes, others are full body pictures that show the bride and her gown and flowers all together. During every wedding we put a lot of thought, time and care into the bride and groom portraits. We believe these are some of the best images from the day of the marriage. The first thing we do with our couples is standard pictures that grandma will love with the two of them looking at the camera. After this we explore the area we have to shoot in to find unique and interesting angles to create one of a kind images for them. This may mean finding a pocket of light to shoot through an object and isolate our subjects agains the background, stitching an image to create an interesting effect, using double exposures, flashes, lights, reflectors, filters, colors and texture to make sure the photos look different than all the others that have been shot at the same location. These can happen in parks, cities, buildings, foyers, back alleys, waterfronts, rivers, waterfalls, rooftops, and anywhere else we may be. These are sometimes the most fun as when you get 10-16 people who are best of friends the amount of joy rises immensely. We will gather the bridesmaids and groomsmen together and make what we call Vanity Fair style group portraits. We stagger our group forward, backwards, up and down to compose a beautiful photo with many people in it. We will take individual photos of the bride with her maid of honour, as well as the groom with his best man, shots of the guys, then of the girls to get a well rounded selection of images to use in the album to be designed and printed at a later date. Mothers, fathers, brothers, sisters, uncles, aunts, cousins and grandparents are all important parts of the images. To have everyone together all dressed up and looking beautiful doesn't happen very often. This is why weddings are such a good time to have family photos taken. When the groups travel from a long ways away and don't see each other very often we take a little extra time to set up a timeless family portrait they will walk away with to hang on their walls. We love taking family photos. 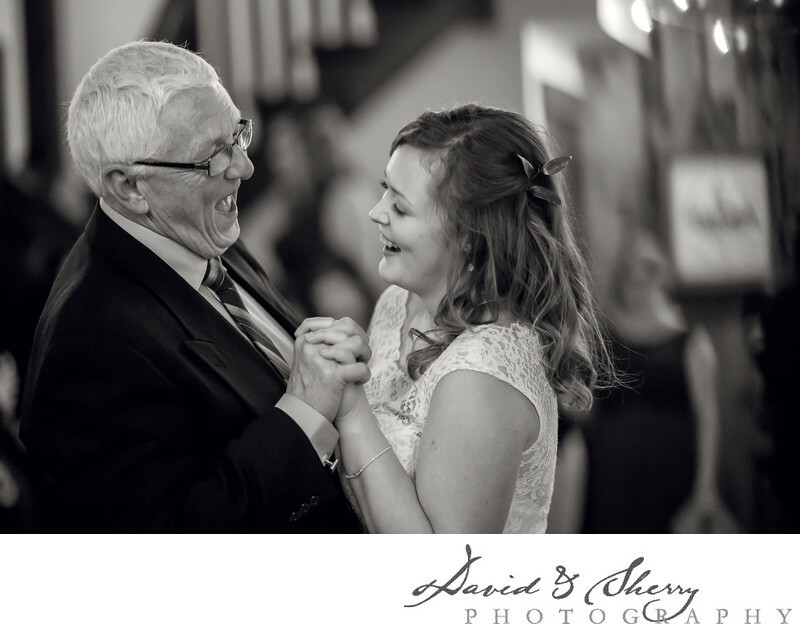 Our photojournalistic moments are some of the top images our clients love from their wedding. 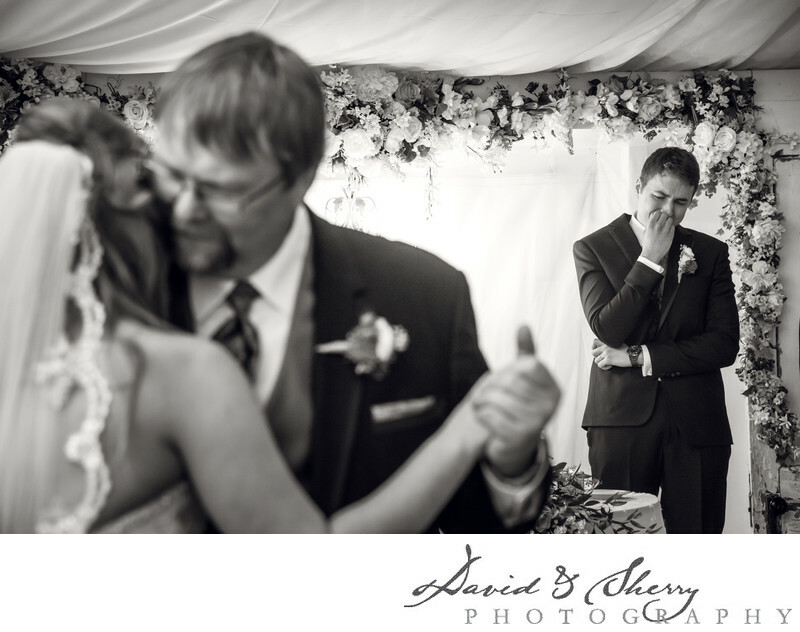 The look of the groom's face as she walks down the aisle and he sees her for the first time in her wedding dress, the father as he looks on his daughter for the last time as a single woman, the reaction of the best friend as the bride gives her speech. These are all moments that happen and many of them happen at every wedding. The challenge for us is to capture them on film when they happen. Some have called this the "decisive moment" a small sliver of time when the full and real emotion shows on the faces of those around us. Photojournalism is a word that is thrown around a lot in terms of weddings, but it is one we take with us and challenge ourselves with every time we have our cameras up. Not all reception halls are created equal. Some have large decor and flower arrangements, some have pin point and coloured lighting, some are dark, some are light, some are small and some are large. We bring with us everything we would need to make any room and space look amazing. We bring with us flashes, lights, low light lenses with large apertures and can make any room look amazing. During the dance we want to capture the beautiful looks on everyone's face as they hear their favourite song playing through their custom designed hall. Near the end of the evening we always take our couples out for some of what we call night shots. This may involve sunset photos, silhouettes against beautiful skies, rim lit flash against raindrops falling from the sky, and really what we are doing is creating a signature finishing image for the evening. A picture to say, and that was the end of our fantastic wedding day. We have done these for years and unanimously our clients love these images. We have used light shaping tools, prisms, light that has come from 100 different sources, and even our iPhones to create awesome pictures. 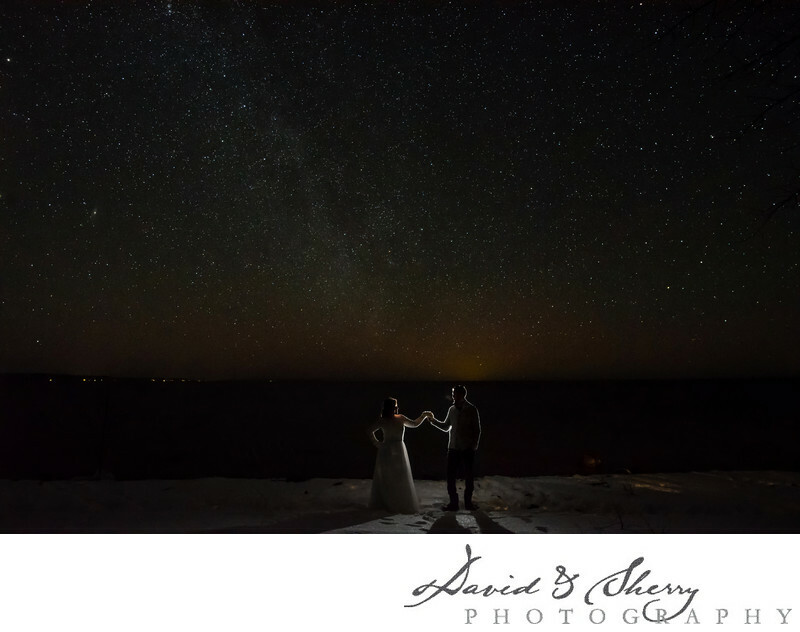 When the sky is just right, and the moon is down and the stars are out we have on numerous occasions created photos of our couples with the Milky Way in the background. Images that are difficult on their own, but then add posing, lighting and uniqueness to the photos and they become very challenging. This of course is a challenge we are up for and one we have mastered over our careers. When the moments are right, and nature works in our favour, we are there to get even the most difficult of shots for you on your wedding day. This is one of the things that makes us Canada's best photographers. So how can we get to your wedding? We travel all across this great nation of Canada without travel fee. 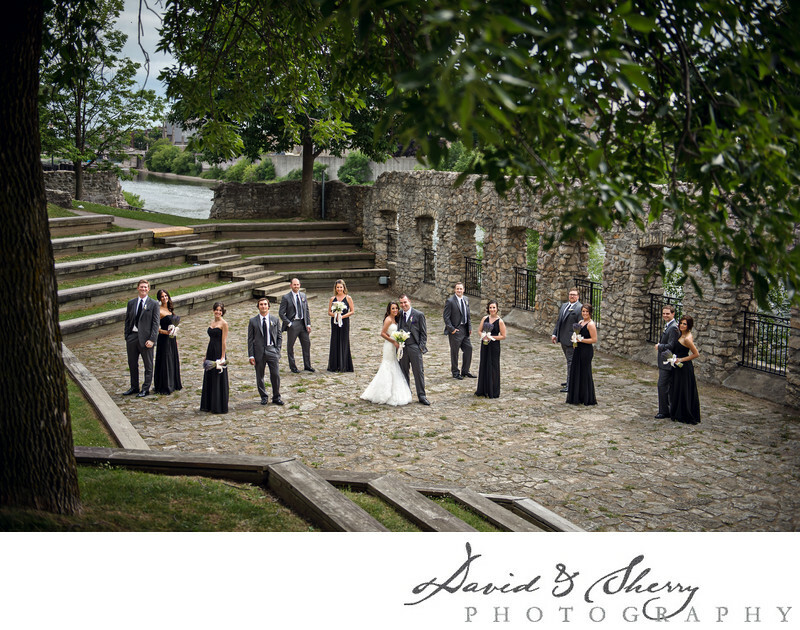 Inquire with us, and have us there at your wedding wherever it may be. We will be happy to scale the mountains of Jasper and Banff, trek to the urban downtowns of Toronto or Vancouver, and head out to the Atlantic cliffs of PEI. We want to be there for your wedding day wherever it may be.